NO DIFFICULTY will be experienced by anyone who becomes even slightly conversant with the use of progressed aspects in Cycle Charts, in foretelling with precision the times when widespread interest in events of each planetary type will be exhibited, and, within a day or two, when important events of each planetary type will come to pass. In fact, by also considering the New Moon Cycle, or Lunation, such events can be predicted to within twenty-four hours of the exact time they actually transpire. To predict the degree of importance which will attach to the event indicated by any one progressed aspect in a Cycle Chart is a more complex matter; for events are not isolated occurrences, but each an integral portion, great or small, of that total pattern which goes to make up our national and international life. This pattern has not only breadth, into which the occurrences indicated by the progressed aspects of each of the cycles and major conjunctions of the immediate period must fit; but it has length in time. The events which have gone before, as indicated by earlier progressed aspects in the various cycles, and by earlier major conjunctions, all have a bearing upon both the importance and the precise nature of the event attracted by any single progressed aspect. When, for instance, the preceding cycles have led up to a condition in which the minds of the populace are filled with thoughts of war, any progressed aspect, either harmonious or discordant, in the Mars Cycle Chart, tends to fan the destructive flames. If a state of war already exists, such an aspect indicates the time of actual skirmishes or engagement, and if the aspect is a powerful one, it will mark the time of heavy actual fighting. But taken by itself, no progressed aspect in the Mars Cycle Chart can cause a country to go to war. A war is the result of a cumulative set of circumstances that are indicated in various cycle charts and major conjunctions. We can be absolutely certain when a progressed aspect forms in the Pluto Cycle Chart that some important event will come to pass involving group activity, and with possibilities of drastic action in case there is resistance to the group decision. Thought currents within the world are then stimulated by energies coming from the planet Pluto, and these, linking certain people together in a chain of similar thought, lead to mass action. The house position of the aspected planet, and the special affinity of the aspected planet, are good guides to the nature of the event to be expected. Yet at a time, due to preceding influences which have led up to it, when the attention of the world is focused on the League of Nations it is safe to predict that the most important event attracted by the Pluto aspect will relate to some action of this body. If, however, the progressed aspect occurs during a period in which some bureau, such as one of the various associations designated by letters which at times exercise dictatorial authority—NRA, AAA, PWA, etc.—holds the attention of the public, the most important event attracted will relate to this particular group. A progressed aspect in the Saturn Cycle Chart, at a time when there is great public agitation for conservation of natural resources, can be expected to mark the date when some pronounced decision or action will be taken in reference to conservation. But the same aspect in a time of business depression would indicate the date on which some action would be proposed or taken having for its object economy or security, the more exact nature of which could be determined from the house position and special affinity of the aspected planet. Or to take an actual example from the past, spiritous liquors are ruled by Mars, and actions concerning them are shown by aspects in the Mars Cycle Charts. But nationwide prohibition, in addition to affecting the consumption of alcoholic beverages, was a radical departure from precedent. And all the important actions leading up to national prohibition were shown also by aspects in the Uranus Cycle Chart. Not only so, but after national prohibition was established, all the important actions leading to the abolition of prohibition also were shown by progressed aspects in the Uranus Cycle Chart, until the pendulum finally swung back and the freedom of the people to decide their personal habits for themselves, as indicated by Uranus in the house of the people in the Uranus Cycle of 1928, finally asserted itself. I am here trying to point out that over one period of time the most important events attracted by nearly every progressed aspect in the Uranus Cycle Chart had to do with prohibition, at another period of time with strikes, and that during still another period of time with the exposure of graft among public officials. These broad public trends are not independent of the influence of Cycle Charts and Major Conjunctions; but to determine them requires great skill in combining all the factors, including the Major Progressions in the nation’s birth chart, the Transits of the planets through the signs, and the General Astronomical Phenomena, examples of which are given in Chapter 1 (Serial Lesson 141). Because so many factors are involved, to predict the precise nature of an event years in advance, such as that one nation will declare war on another on a certain date, or that the government will devalue its currency on another specified date, is a difficult matter. But to make accurate short time predictions, after a certain trend has set in, giving exact dates and exact events weeks and months in advance, is not difficult and requires only a moderate amount of practice. When the trend is seen to belong to the rulership of a certain planet, any progressed aspect in that planet’s Cycle Chart will bring something of consequence to pass relating to the matter, and the nature of the event can be ascertained from the known trend combined with the house position and special affinity of the aspected planet, etc., according to the rules given in Chapter 3 (Serial Lesson 143). Also, progressed aspects in the Cycle Charts of the other planets, to the planet ruling the trend under consideration, will have an effect upon the development of such events. That is, such aspects show the influence of the things ruled by the planet in whose Cycle Chart the progressed aspect occurs, to bring events to pass which are of the trend of the aspected planet, and which, therefore, are related to the special trend under consideration. When Pluto is involved in the aspect, group action with drastic implications may be expected; when Neptune is one of the planets, schemes and an involved condition may be expected; when Uranus is one of them, something new, sudden and a marked change from old conditions; when Saturn is a party to the aspect, a slowing down, economy, loss or restriction; when Jupiter is one of the planets, expansion, optimism, expenditure or higher prices, and when Mars is one of them, look for strife and struggle. By considering these typical influences, whether in their own Cycle Charts or when aspected in the Cycle Chart of another planet, a very clear picture can be formed of just what is going to happen, and just when, in reference to any subject which already has come before the public attention. The Cycle Chart ruling the matter will, by the progressed aspects that form in it, give the larger turning points. The details are to be filled in from the progressed aspects to this planet which rules the matter, which are made in the Cycle Charts of the other planets, each affecting the situation, of course, according to the type of influence which it commonly exerts. The influence of Jupiter on everything he contacts is in the direction of expansion. He is the salesman, whose good will and joviality enable him to sell his wares or his services at the highest price. Large and generous by nature he spends no time in petty haggling over small differences in cost. His customers will buy from him, even if they must pay a little more than elsewhere, because he is such a good fellow. This disregard of small imperfections in others, tendency to forgive transgressions, and the spirit of give and take which is so essential in life if friction and antagonisms are to be avoided, may well be symbolized by the belts of Jupiter which may be seen through a small glass; ever shifting zones of various colors formed by changes in the planet’s atmosphere. Here there is no suggestion of restriction, of self-interest, or of coldness; but rather an impression as of a benign and genial giant. Look at Saturn through a telescope and there comes a very different feeling. Its cold white is slightly tinged with yellow, but it lacks that glowing warmth with which the steadfast yellow light of Jupiter seems to pour forth to cheer his neighbors in the sky. Instead of the somewhat careless disregard of self which the larger planet seems to indicate, Saturn has built a ring completely around himself to protect his possessions. In his cautious and self-centered desire to insure that nothing from himself is given to others, and that in even the smallest way no one outdo him in bargaining, he has fenced himself and his possessions in. The fact which Saturn constantly overlooks is that a wall which prevents anything from getting out acts quite as effectively to keep anything from getting in. Jupiter gives and spends and makes pleasure for others; and this generous attitude awakens a like response in them. They in turn, feeling a sympathetic glow of generosity, give Jupiter more than he asks, and go out of their way to see him prosper. But when they come in contact with the cold ring into which Saturn has withdrawn, they recoil from the barrier and think to themselves that such a one deserves no favors, and that the best thing is to let him entirely alone. Saturn, as one of the two business planets, therefore, to get trade must sell at a bargain. But not so Jupiter. Whether in matters of wages, in the price to be paid for produce, or in the investment of capital, he ever tends to higher prices and more lavish expenditures. This tendency, when he is afflicted, leads to extravagance and to purchases at a price far above their real worth or what may reasonably be expected from them in the way of financial returns. 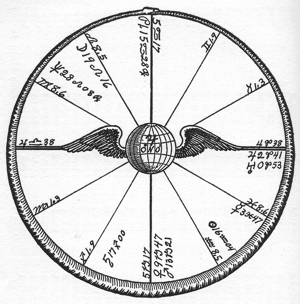 Religion and philosophy in thought, finance and commerce in business, and the influence of capitalism in politics, are the most outstanding things through which Jupiter, when he makes progressed aspects in his cycle chart, brings things to pass. More progressed aspects will be found to attract events relating to finances than to any other one thing. Yet, as Jupiter is the ruler of the natural ninth house, it will be found that various ninth house matters are also at times brought into prominence through progressed aspects of Jupiter in his cycle chart. As the ninth house is the third house of foreign countries, so treaties, which are contracts with such countries, come under Jupiterian rule. Commerce, interstate commerce in particular, ships which travel the sea, and long journeys in general, relate to this planet’s cycle, as do cable messages, books, publishing and advertising. Here a careful distinction should be made between printing and the circulation of the news—things which are ruled by Mercury—and the public expression of opinions, whatever the channel employed, which is ruled by Jupiter. Thus not only teaching, lecturing and preaching are Jupiterian functions, but advertising or lecturing over the radio, although the radio is ruled by Pluto. It is Jupiter placing opinions before the public. Mercury rules speech; but when that speech is used as indicated, rather than in conversation, it partakes of Jupiter’s rule. The courts also are under Jupiter’s influence, and arbitration between countries, which is the placing of differences before some chosen judiciary body to decide. To illustrate the method of calculating the time for which a Jupiter Cycle should be erected, we will use the short cycle of Jupiter of July 7, 1927, and the present cycle of Jupiter which commenced February 5, 1928. As we wish to know the influence of the Jupiter Cycle on the affairs of the United States, the problem is to ascertain the time at Washington, D. C., when Jupiter crossed from south declination to north declination. The Nautical Almanac for 1927 gives the declination of Jupiter on each day for Greenwich Civil Time (commencing at midnight). The position on July 7 is given as minus 0 degrees, 0 minutes, 31.0 seconds. The variation per hour is given as 2.65 seconds. That is, Jupiter, in south declination, is moving north at the rate of 2.65 seconds per hour, and must travel 31.0 seconds to cross into north declination. One hour equals 60 minutes. Then 2.65:60::31.0:? The answer is 702 minutes, which equal 11 hours, 42 minutes. To July 7, Civil Time, add 11 hours, 42 minutes, and it gives the Greenwich Time as July 7, 11:42 a.m. As Washington is 77 degrees west, subtract 5 hours, 8 minutes, which gives the time for which the Jupiter Cycle chart must be erected as July 7, 1927, 6:34 a.m. L.M.T. 77W. 38N56. The chart erected for the time so found is No. 75 in table at end of this chapter/lesson. The Nautical Almanac for 1928 gives the declination of Jupiter on each day for Greenwich Civil Time (commencing at midnight). The position on February 6 is given as minus 0 degrees, 0 minutes, 31.2 seconds. The variation per hour is given as 12.39 seconds. That is, Jupiter, in south declination, is moving north at the rate of 12.39 seconds per hour, and must travel 31.2 seconds to cross into north declination. One hour equals 60 minutes. Then 12.39:60::31.2:? The answer is 151 minutes, which equal 2 hours, 31 minutes. To February 6, Civil Time, add 2 hours, 31 minutes, and it gives the Greenwich Time as February 6, 2:31 a.m. As Washington is 77 degrees west, subtract 5 hours, 8 minutes, which gives the time for which the Jupiter Cycle chart must be erected as February 5, 1928, 9:23 p.m. L.M.T. 77W. 38N56. The chart erected for the time so found forms the illustration in this chapter/lesson. To give examples, not of what may be expected from the common run of aspects in the Jupiter Cycle Chart, such as will be considered later; but to indicate the aspects in the Jupiter Cycle charts which coincided with the most important past events which are under Jupiter’s rule, over a certain period of time, I will quote events and dates from an authoritative publication. No. 60, Jupiter Cycle, March 27, 1809, approximately 10:24 p.m. 77W. 38N56. No. 61, Jupiter Cycle, April 8, 1815, approximately 9:52 a.m. 77W. 38N56. No. 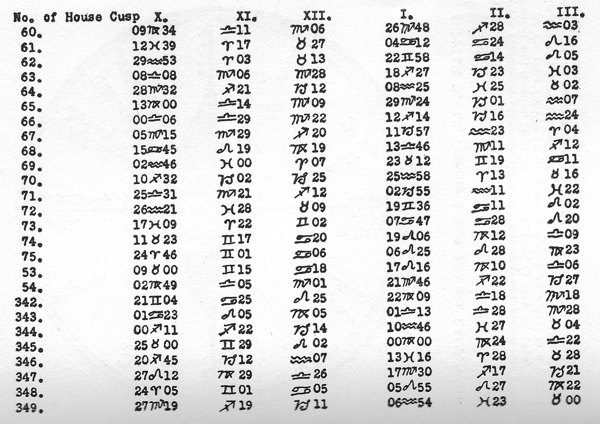 62, Jupiter Cycle, March 11, 1821, approximately 11:52 a.m. 77W. 38N56. No. 63, Jupiter Cycle, February 22, 1833, approximately 2:22 a.m. 77W. 38N56. No. 64, Jupiter Cycle, June 28, 1844, approximately 9:16 p.m. 77W. 38N56. No. 65, Jupiter Cycle, February 3, 1845, approximately 2:04 a.m. 77W. 38N56. No. 66, Jupiter Cycle, May 22, 1856, approximately 7:57 p.m. 77W. 38N56. No. 67, Jupiter Cycle, January 10, 1857, approximately 6:52 a.m. 77W. 38N56. No. 68, Jupiter Cycle, May 1, 1868, approximately 4:28 p.m. 77W. 38N56. No. 69, Jupiter Cycle, April 1880, approximately 6:52 a.m. 77W. 38N56. I will now quote, with my own comments in parentheses, ALL the events that clearly show the influence of Jupiter’s rule, omitting none in the sequence, and covering a period as long as my space will permit, from the Reference History of the World of Webster’s New International Dictionary. The progressed aspect in the Jupiter Cycle which attracted each event will be noted in connection with the quotation. 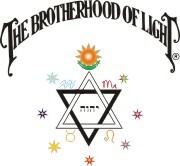 May 10, 1886, under Jupiter p in house of foreigners (7th) inconjunct Asc. r (American people), In Yick Wo v. Hopkins the Supreme Court (Jupiter) decides that a municipal ordinance designed to make arbitrary and unjust discriminations (unfair business regulations) against Chinese laundries is contrary to the principles of the Fourteenth Amendment. October 25, 1886, nine days after Jupiter (Court) made the perfect semisextile to Mars r, ruler of the house of commerce, in Wabash, St. Louis, and Pacific Railway Co. v. Illinois, the Supreme Court (after having it under consideration) construes a State long-and-short-haul act as being a regulation of interstate (Jupiter) commerce. The court (Jupiter) reconsiders the Granger Cases of 1877, arguing that the question of interstate commerce was there only incidental. This decision shows the need of Federal regulation of the railroads. February 4, 1887, under Jupiter semisextile Uranus r, ruler of reforms, Interstate Commerce (Jupiter) Act passes after an agitation (Uranus) of years. State regulation of railroads by legislation and commissions, though upheld by the Supreme Court, was not powerful enough or uniform and gave place to a demand for Federal regulation. Railroads become powerful and frequently affect or control State governments. March 2, 1887, under Jupiter semisextile Uranus r, in house of foreign countries, the President is authorized to retaliate on Canadian trade (Jupiter) for the obstruction of the fishing rights; no action taken. May 27, 1887, under Jupiter p in house of taxes (8th) trine Asc. r, in Philadelphia and Southern Steamship Co. v. Pennsylvania, the Supreme Court (Jupiter) holds a State tax upon the gross receipts of a steamship company derived from interstate and foreign commerce (Jupiter) contrary to the exclusive power of Congress. February 20, 1888, under Jupiter in the house of treaties (9th) sextile Jupiter r in house of foreign nations (7th), Treaty signed with Great Britain to settle the fisheries dispute. April 23, 1888, under Jupiter in the house of interstate commerce (9th) sextile Jupiter r, The Supreme Court (Jupiter) begins in the Missouri Pacific Railway Company v. Mackey its series of important interpretations of the Fourteenth Amendment as applied to labor questions, holding that a State statute abolishing the fellow-servant doctrine in workmen’s compensation for injuries is not contrary to the amendment. October 2, 1889, under Jupiter opposition Saturn r, ruler of house of Congress, and inconjunct Pluto r, in house of short journeys and co-ruler of house of long journeys, First Panamerican Congress meets at Washington. Delegates tour the country and hold sessions lasting until April 19, 1890 (to stimulate business—Jupiter—relations). A bureau (Pluto), later called the Panamerican Union, is organized with headquarters in Washington. February 4, 1890, under Jupiter semisextile Asc. r, Centennial of the United States Supreme Court is celebrated at New York. July 14, 1890, under Jupiter sextile M.C. r (business), Congress enacts the Silver Purchase (Jupiter rules finances) Act, which supersedes the Bland-Allison Act of 1878. It is a further compromise with the demand for free silver and requires the purchase each month of 4,500,000 ounces of silver and the issue of legal tender (Jupiter) silver treasury notes equal to the purchase value. February 29, 1892, under Jupiter (ruler of arbitration) semisextile Asc. r, conventions signed with Great Britain submitting to arbitration the right of the United States to prohibit pelagic (in the ocean) hunting of the fur seals in the Bering Sea. The next Jupiter Cycle (chart 71) commenced March 27, 1892, 1:14 a.m. Washington. February 14, 1893, under Jupiter semisquare Neptune r, Treaty of annexation with Hawaii is signed. This follows a revolt led by Americans, assisted by the American minister, and protected by American marines, by which the queen is deposed. Not ratified (Neptune often fails to fulfill). March 2, 1893, under Jupiter in house of trains (3rd) inconjunct Saturn r (planet of safety) in house of commerce, Safety Appliance Act of Congress regulates brakes and couplers on trains in interstate commerce (Jupiter). June 18, 1893, under Jupiter conjunction Venus r, sextile Moon r, Great Northern Railroad is opened; the first transcontinental (Jupiter) line to be constructed without a land grant. January 17, 1894, under Jupiter conjunction Venus r, ruler of house of bonds (5th), issue of $50,000,000 in bonds is offered to replenish the gold reserve, which by February 1 falls to $65,000,000 as $100,000 is considered the minimum safety point. March 29, 1894, under Jupiter conjunction Pluto r in house of speculation, Cleveland vetoes a bill to coin (Jupiter) the purchased silver bullion to the amount of the seigniorage. April 29, 1894, under Jupiter in house of speculation, inconjunct Uranus r, in house of business, Remnant of “Coxey’s Army of the Commonwealth of Christ,” a demonstration (Uranus) of the unemployed, reaches Washington with a demand for the issue of $500,000,000 paper money (Jupiter), especially the free coinage of silver, is presented as a panacea. November 5, 1894, under Jupiter trine Uranus r, a second bond issue of $50,000,000 (Jupiter) is made to replenish the gold reserve (Uranus in house of credit). February 11, 1895, under Jupiter square Saturn r, ruler of the public (Asc. ), gold reserve is reduced to about $41,000,000. Cleveland, February 8, contracts with a syndicate to buy bonds which they immediately resell (Jupiter) at a large premium. Much public criticism (public feel cheated—Saturn). December 17, 1895, under Jupiter in house of foreign countries (7th), trine Sun r, Cleveland’s message on Venezuela and British Guiana boundary controversy holds that the right of the United States under the Monroe Doctrine is involved in Great Britain’s refusal to arbitrate (Jupiter) with Venezuela. He recommends a commission to decide (Jupiter) the rights of the controversy. Congress authorizes the commission. February 5, 1896, under Jupiter trine Jupiter r, a popular issue of $100,000,000 in bonds (Jupiter) is quickly subscribed at a premium, and the gold reserve rises to a point of safety. November 12, 1896, under Jupiter sesquisquare Sun r, Great Britain and United States reach an agreement for the settlement of the British Guiana boundary by formal arbitration (Jupiter) treaty between Great Britain and Venezuela. January 11, 1897, under Jupiter trine Mars r, General arbitration treaty (Jupiter) is signed with Great Britain; Senate rejects (Mars the planet of strife) it. March 10, 1898, under Jupiter in house of the navy, opposition Sun r, Congress empowers the president to spend $50,000,000 for national defense. Then comes the Jupiter Cycle (chart 72) starting April 8, 1898, 8:47 a.m. L.M.T., 77W. 38N56. June 1, 1898, under Jupiter (planet of business) inconjunct Venus r, exposition of the arts (Venus) and industries of trans-Mississippi States is opened at Omaha. Erdman Act authorizes governmental mediation (Jupiter) and voluntary arbitration (Jupiter) of disputes between carriers engaged in interstate commerce (Jupiter) and their employees, and forbids such carriers to discriminate against union laborers (Uranus in the cycle in house of labor, sextile Jupiter) or to blacklist them. June 13, 1898, under Jupiter inconjunct Venus r, War Revenue Act provides for the raising of revenue by excise duties, tax on tea, and for a bond (Jupiter) loan of $400,000,000, but only half the bonds are issued. December 10, 1898, under Jupiter, ruler of house of foreign countries, semisextile Jupiter r and semisextile Uranus r, Treaty (Jupiter) of Peace is signed at Paris; Spain abandons Cuba, cedes Puerto Rico, Guam, and Philippines to United States, and is paid (Jupiter) $20,000,000. May 18, 1899, under Jupiter, ruler of house of foreign countries, semisextile Jupiter r, and semisextile Uranus r (something new), First Hague Conference. Convention for pacific settlement of international disputes, and to ameliorate war. Delegates from the United States sign (Jupiter rules treaties) with a reservation of the Monroe Doctrine. September 6, under Jupiter, ruler of house of foreign nations, opposition Mercury r, ruler of the people (Asc. ), Secretary Hay’s open door policy (business policy) for China receives recognition by other powers. February 5, 1900, under Jupiter inconjunct Mercury r, first Hay-Pauncefote treaty (Jupiter) on Canal. March 14, 1900, under Jupiter semisextile Moon r, Gold Standard Act makes gold dollar (Jupiter) standard unit of value. May 14, 1900, under Jupiter inconjunct Mercury r, in Knowlton v. Moore the Supreme Court (Jupiter) decides that the Federal inheritance tax of June 13, 1898, is a constitutional indirect tax (a revenue raising measure, and thus under Jupiter). May 27, 1901, under Jupiter sextile Moon r, in the Insular Case the Supreme Court (Jupiter) holds that Puerto Rico by the treaty (Jupiter) ceased to be a foreign country within the meaning of the tariff laws. November 18, 1901, under Jupiter sextile Moon r, Hay-Pauncefote Treaty is signed; Clayton-Bulwer Treaty (Jupiter) abrogated and British consent given to American sole control of the Isthmian Canal. January 24, 1902, under Jupiter semisquare Saturn r (lands), second treaty (Jupiter) is signed with Denmark for the purchase of the Virgin Islands; the Rigsdag rejects (Saturn) the treaty. March 8, 1902, under Jupiter square Mercury r, ruler of house of the people (Asc. ), act establishing tariff rates between the United States and the Philippines. Unrestricted trade (Jupiter) not granted. June 28, 1902, under Jupiter semisextile M.C. r (business), Isthmian Canal Act authorizes the purchase of the rights of the French Canal Company for $40,000,000 (Jupiter). No. 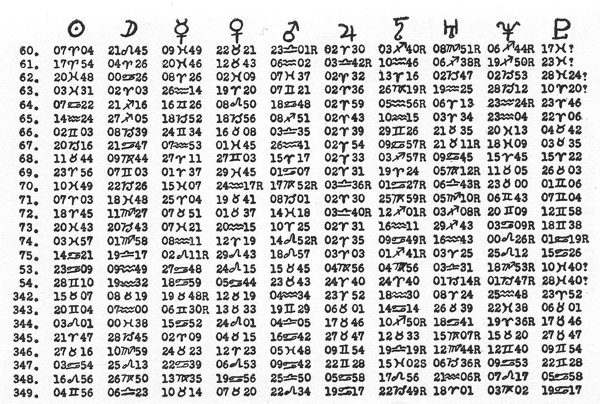 73, Jupiter Cycle, March 11, 1904, 11:57 a.m. L.M.T. 77W. 38N56. No. 74, Jupiter Cycle, February 23, 1916, 4:26 p.m. L.M.T. 77W. 38N56. No. 75, Jupiter Cycle, the detailed calculation of which is given earlier in these pages, July 7, 1927; 6:34 a.m. L.M.T. 77W. 38N56. 9:23 P.M., L.M.T., Washington, D.C. This chart shows that departments of life in the U.S. are affected and how, by religion and philosophy, advertising, the courts, interstate commerce, shipping, finances, lecturing and preaching, arbitration and treaties, from February 5, 1928, to May 26, 1939. At the time Jupiter by progression makes an aspect to a planet in this chart, events will come to pass influenced by these things and affecting the department of life denoted by the aspected planet and its house. The influence of the current Jupiter Cycle, chart for which is illustrated above, will be in effect from February 5, 1928, to May 26, 1939. According to the calculations previously given in detail, the chart is erected for February 5, 1928, 9:23 p.m. 77W. 38N56. The most outstanding feature of this chart is Jupiter, ruler of the cycle, in the house of labor, conjunction the disruptive Uranus, square Venus in the place of homes and farms, sesquisquare the Moon in the house of Congress, square the place of credit (M.C. ), opposition the people (Asc.) and in close semisquare to the Sun in the house of speculation. In other words, every significant position in the chart, with the exception of a semisextile to Mercury, and no aspects to Saturn, Mars and Pluto, forms a decided affliction to the planet of finances and business in that planet’s cycle. The Sun being in the house of speculation and in close opposition to the Moon (common People), and both afflicting the financial planet, indicate that unwise speculation of the common people works in the direction of financial disaster. Pluto in the house of business in opposition to Venus and Mars, indicates that drastic measures will become necessary to preserve credit, and that business will be sorely distressed, especially as the M.C. also is so heavily afflicted. The two planets in the 4th, afflicted not only by Jupiter, but also by Pluto in the house of business, show that farms and homes will suffer great loss through dislocation of business and credit. But more significant than any other position is Jupiter with Uranus in the 6th. Here we perceive that the real misadjustment, which is precipitated by a wild period of universal speculation, has its seat with labor. Uranus rules new inventions and intricate machines, and these have displaced more crude methods which required greater man power. This has not decreased wealth (Jupiter) but has brought about a dislocation in the distribution of wealth. Uranus also rules new methods and changes, and thus points out not only the basic cause of the business and financial dislocation so clearly shown in this chart, but what must be accomplished before the financial difficulties here shown will be past. There must be a radical (Uranus) change in the distribution of wealth (Jupiter) among those who labor. It is chiefly the restricted buying power of the laborers, including agriculturists and clerical workers, that causes the business disruption here shown; and it can only be remedied by some new method which permits a vast number of people (Moon in aspect to Jupiter) to share sufficiently in the wealth produced with the aid of labor-saving machines (Uranus in 6th) that they provide a mass (Moon) purchasing (Jupiter) power. So far as the finances of the people and general business conditions are concerned, this chart indicates that the whole period, 1928 to 1939, is one of adjustment to the mechanization not only of industry but also of the farm and home, as indicated by Uranus conjunction the ruler of the cycle and in aspect to nearly every planet in the chart. To furnish examples, not of what is to be expected in the way of events from heavy and exceptional aspects in a Jupiter Cycle, but to give a clear picture of what should be expected also from the weak aspects, and those that occur at rather short intervals, probably the best method to follow is to take all the aspects that Jupiter forms within a given period in its cycle chart, and note one event under Jupiter’s rule which was actually coincident with each such aspect. Commencing, therefore, with the Jupiter Cycle of February 5, 1928, I will list, in their proper order of succession, ALL the progressed aspects that have formed, in so far as space permits, and quote the date, and event attracted, from the WORLD ALMANAC, my own comments being placed in parentheses. It will be apparent the events thus indicated are not inconsequential, for only the more important events are given mention in the WORLD ALMANAC. February 6, 1928, at Washington, the new arbitration treaty (Jupiter) with France was signed on the anniversary of the first Franco-American treaty of alliance, February 6, 1778. February 11, 1928, Jupiter semisextile Mercury r: February 11, John D. Rockefeller Jr., testifying to the U. S. Senate Public Lands Committee in the Teapot Dome Oil inquiry, said he had tried in vain to persuade Col. R. W. Stewart, Chairman of the Standard Oil Co. of Indiana, to tell the committee all he, Stewart, knew of the Continental Trading Company’s bonds (Mercury in the house of bonds). February 13, 1928, Jupiter sesquisquare Moon r, opposition Asc. r (people): The New York City Transit Commission denied an Interborough plea for a 7-cent subway fare (Jupiter keeps prices up). February 18, 1928, Jupiter square M.C. r: February 18, Mayor Walker (M.C.) of New York City, on a trip south hopped off the train at Baltimore and talked to the Advertising (Jupiter) Club about religious (Jupiter) prejudices. March 9, 1928, Jupiter square Venus r: March 10, President Coolidge signed the alien property (Venus in house of real estate) bill, which calls for an expenditure (Jupiter) of about $50,000,000 by the U. S. Treasury to cover the value of alien property seized when war was declared on Germany. March 23, 1928, Jupiter sesquisquare Neptune r: March 23, U. S. authorities at New York City seized 5 tons of manufactured imported (commerce) quinine sulphate, alleging the Dutch owners are cornering the market (Jupiter) in violation of the antitrust (Neptune) provision of the Wilson Tariff Law. March 24, 1928, Jupiter square Mars r: March 24, AIbert D. Lasker, of Chicago, told the Senate oil probers at Washington, that in October 1920, he gave $25,000 in cash (Jupiter) to the late Fred W. Upham, the Treasurer of the National Committee. April 1, 1928, Jupiter square Pluto r: April 1, L. S. Peterson, Dem., retiring postmaster at Douglas, Ga., shot and killed one of his clerks and himself. In a letter he accused Republicans of driving (gang methods of Pluto) him into debt by campaign money (Jupiter) levies. April 4, 1928, Jupiter sextile Sun r: April 5, the $5,210,000 of gold (Sun) which was received in New York from Soviet Russia on February 21, and which has been the center of international financial (Jupiter) and legal (Jupiter) turmoil, was sent back to Europe on the steamship Dresden. April 8, 1928, Jupiter trine Saturn r: April 9, Jeddu Krishnamurti, the young Hindu who is accepted by Theosophist followers of Dr. Annie Besant as “a vehicle for the world teacher” (Jupiter), or spiritual equal of Christ and Buddha, arrived at New York City on the Leviathan. April 15, 1928, Jupiter semisquare Mercury r: April 16, Dr. Walter F. Seymour, Superintendent of the Presbyterian Board of Missions (Jupiter) Hospital at Tsining, Southeastern Shantung, was shot to death by a Chinese soldier. April 17, 1928, Jupiter trine Moon r: April 17, the U. S. Supreme Court declined to halt the action of the court below reversing the Interstate Commerce (Jupiter) Commission in the “Lake Cargo” coal case, prohibited the carriers in the South from making voluntary cut (Jupiter keeps prices up) in coal freight rates. May 26, 1928, Jupiter trine Neptune r: May 25, the U. S. has collected to date over $2,000,000 in back revenue (Jupiter) taxes revealed by Teapot Dome and Continental Trading Co. (Neptune rules oil) testimony. June 8, 1928, Jupiter semisextile Uranus r: June 7, President Coolidge killed by a pocket veto, the Muscle Shoals bill calling for the U. S. Government operation (competing with private business) of the $150,000,000 power plant on the Tennessee River in Alabama. June 14, 1928, Jupiter sesquisquare Saturn r: June 14, Robert W. Stewart, Chairman of the Standard Oil Co. of Indiana, was acquitted by a jury (Jupiter) in the District of Columbia Supreme Court of contempt charges arising from his refusal to answer questions at the Senate Committee’s oil inquiry. The question concerned profits (Jupiter) of the Continental Trading Co.
June 17, 1928, Jupiter semisextile Jupiter r: June 15, near Bellville, III., an army dirigible balloon descended over a railway track as a train came in view. The airship crew, regulating the speed to correspond with that of the train, maneuvered into position over the mail coach. Then the dirigible was brought down over the train so low that the control car rested on top of the coach for a moment while a member of the crew handed a sack of mail to a clerk standing in the doorway of the coach (commerce and interstate transportation). June 23, 1928, Jupiter sextile Mercury r: June 23, when the steamer (Mercury ruler of the 9th) Leviathan arrived at London from New York City, several of her sacks of registered mail (Jupiter ruling house of mail) were found to have been robbed; total loss not over $10,000. June 29, 1928, Jupiter inconjunct Asc. r: June 29, John Henry Mears and Captain B. B. Colyer, who are going to travel around the world (Jupiter ruling long journeys) by steamship and airplane in 23 days, left the Battery at 5:00 a.m. in a seaplane for Ambrose Channel Lightship. They got back to the Battery at 8:21.48 p.m., July 22, having circled the globe in 23 days, 15 hours, 21 minutes, 3 seconds. July 2, 1928, Jupiter sextile M.C. r: July 2, interest rates (M.C. rules credit) on call money were raised (Jupiter raises prices) at New York City to 10% the highest since November 10, 1920. August 10, 1928, Jupiter trine Venus r: August 10, Herbert Hoover, in the visible presence of 70,000 (Venus rules house of the people), and heard (Jupiter rules speeches given to the public) by radio by millions, delivered in the stadium of Stanford University, Calif., his speech of acceptance of the Republican presidential nomination. September 18, 1928, Jupiter trine Venus r: September 18, Gov. A. E. Smith of New York, Democratic presidential candidate, reached Omaha, Nebr., in his special train, and made his first campaign address (Jupiter rules public speeches) there, mainly on farm (Venus in house of farm) problems. October 29, 1928, Jupiter sextile M.C. r: October 29, dodging squalls and rain, the German airship Graf Zeppelin covered more than a third of the distance (Jupiter rules long journeys) to Friedrichshafen on her homeward flight after taking off from Lakehurst, N. J., at 1:55 a.m.
November 3, 1928, Jupiter inconjunct Asc. r: November 2, Gov. A. E. Smith was welcomed at New York City with a parade which was cheered by 1,500,000 (Asc. rules the public); he spoke (Jupiter rules public speeches) at night to a throng at the Brooklyn Academy of Music. November 9, 1928, Jupiter sextile Mercury r: November 9, mail (Jupiter rules house of mail) robbers got $53,000 in a train holdup near Ft. Worth, Texas; all but $2,970 was found hidden nearby and the bandits (Mercury ruler of house of crime) were captured. November 18, 1928, Jupiter semisextile Jupiter r: November 17, The Board of Bishops of the M. E. Church of the World, at Atlantic City, publicly announced that under the decision of the General Conference of the Church (Jupiter) last May, ministers (Jupiter) may marry couples one or both of whom have been legally divorced. November 24, 1928, Jupiter sesquisquare Saturn r: November 23, conductors and trainmen of Western railways (Saturn in house of railways) accepted a 6½% wage increase (Jupiter raises wages), retroactive to May 1, 1929, when their former agreement with the railways expired. December 9, 1928, Jupiter semisextile Uranus r: December 9, “The St. Louis Post-Dispatch,” in its fiftieth anniversary copyrighted edition, published (Jupiter) a 1,000-word article from President Coolidge, in which he tells of the many demands (Uranus in house of labor) on the time of the President, and suggests (a departure from tradition—Uranus) a country White House. January 11, 1929, Jupiter semisextile Uranus r: January 11, testimony that the National Electric (Uranus) Light Association had contributed (expose—Uranus) $80,000 between 1924 and 1928 to the General Federation of Women’s Clubs, and that it also had paid $600 each for twenty-four magazine articles (Jupiter), was presented to the Federal Trade (Jupiter) Commission. January 25, 1929, Jupiter sesquisquare Saturn r: January 26, the Chicago Auditorium, which opened (public education ruled by Jupiter, although entertainment belongs to the 5th house) on December 10, 1889, with Gounod’s Romeo and Juliet, closed (Saturn closes or otherwise restricts) with the same opera. February 1, 1929, Jupiter semisextile Jupiter r: Col. Charles A. Lindbergh flew from Mineola, N. Y., to Jacksonville, Fla., refueled, flew to Miami; and on February 4 he opened the U. S. Central American air mail (Jupiter ruler of house of mail) from Miami to Havana, and thence to Belize, British Honduras (Jupiter rules long journeys). February 15, 1929, Jupiter inconjunct Asc. r: February 15, The Interstate (Jupiter) Commerce Commission approved the plan submitted by a committee of railway executives under which the Railway Express Agency, which has been incorporated, will on March 1 acquire and operate practically the entire (Asc. rules the general public) express business of the country. February 19, 1929, Jupiter sextile M.C. r: Herbert Hoover (M.C. rules president) returned to Washington from Florida and Secretary of State Kellogg, in an identical note delivered to diplomatic representatives of all governments which have signed the World Court (Jupiter) protocol, invited their governments to conduct an informal exchange of views among themselves with a view to admitting the United States into membership and participation in the court. March 15, 1929, Jupiter trine Venus r: March 14, President Hoover issued an executive order that all future decisions of the Commissioner of Internal Revenue dealing with tax (Jupiter p in house of taxes) refunds in excess of $20,000 (Jupiter) shall be open to public (Venus ruling house of public) inspection.